We are pleased to be able to offer another one day training course to help staff and volunteers, who work with older people approaching end of life in Leeds to improve their confidence and communication skills around death, dying and loss. Devised by Sue Ryder Wheatfields Hospice, and delivered by Leeds Bereavement Forum, this course will give participants an opportunity to practise holding sensitive conversations in a safe, secure space. The session also aims to increase awareness and understanding around end of life planning, and bereavement, as well as to explore when, and how, to signpost on to appropriate organisations. The course will cost £25 for staff and volunteers at Leeds City Council, council commissioned services/agencies and third sector organisations but there are a limited number of spaces available. 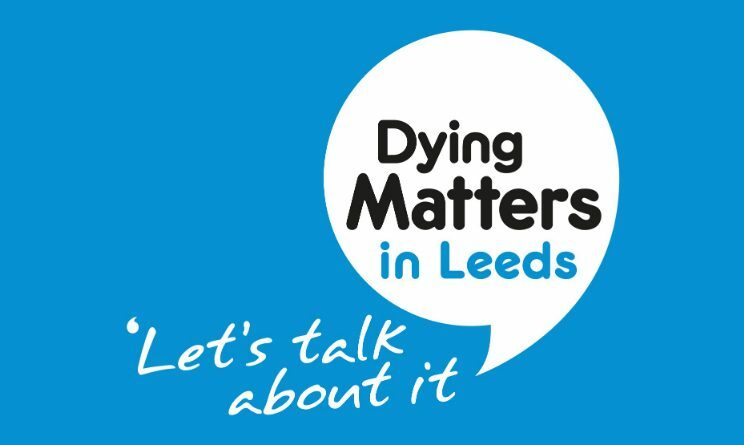 This session has been subsidised by the Dying Matters Partnership in Leeds and priority will be given to face to face practitioners working with people approaching end of life in Leeds. For further details and/or to register your interest, please contact Barbara Stewart or phone 0113 225 3975. The cost includes a light lunch so please notify us of any dietary requirements.